The Women's Ministry of Calvary Chapel Old Bridge exists to serve and glorify our Lord Jesus Christ, and to encourage the women within the fellowship and surrounding areas in their walk with the Lord, as well as to reach out to any woman who does not yet know Him. Our focus is to provide a variety of opportunities for women to be built up and encouraged in the Word of God and to fellowship with their sisters in the Lord. Notice the "W" in our logo. Imagine the circle as the head, the bottom part as the body, and the top part as hands raised in worship. 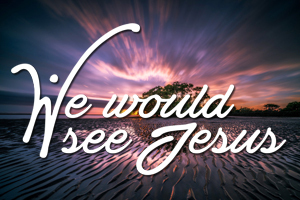 Our goal is to see Jesus is every part of our lives. As we study the Bible together, we grow into women who fully know forgiveness and freedom in Christ, the faithfulness of God, and the joy of seeking and walking in the will of God, even through the most difficult circumstances.